Why Choose Our CBD Oil Range? Whether you’re a new fan or have been with us for years, it’s worth repeating that at ICE Headshop, we always go for quality at great prices, and our growing CBD oil and e-liquid range is no different! Our team have done lots of research to find the best CBD oils on the market and have sourced our favourites for you in our store, so you can sit back and relax. A varied selection, you’ll find premium products derived from CBD crystal, and many delicious flavours. CBD Oil is an extract from the non-psychoactive compounds found naturally in hemp marijuana plants and it’s full name is ‘cannabidoil’ oil. It is a cannabinoid that has no effects of ‘getting high’, Yet has some relaxing properties; this getting high is the other cannabinoid you may have heard of, THC. Cannabidoil is an active component of cannabis and is a legal product in the UK, sold as a food and dietary supplement. It is extracted from CBD hemp plants that have been bred to be highly concentrated. Always check the status of CBD products where you are; for example, not all states in America class it as legal. Must be at least 18 years old to purchase in the UK. Once the crystal has been extracted using Co2 methods (to make the pure CBD crystal), the CBD concentrate can be bottled & mixed with VG & PG along with many flavours & terpenes to create great e-liquid & dripping products, food supplements and some can even be applied directly to skin. This crystal method means the amount of active CBD in our products can be carefully controlled and you always know the amount of CBD concentrate being taken. For each oil, pay attention to the level of CBD, which is given in mg and a percentage. Some will also have a small amount of THC present depending on the plant they’ve been extracted from, but all will be below 0.0005% THC (Trace amounts in the ppm), meaning they do not contravene the misuse of drugs act. Our range is probably the best you’ll find online as we only stock high quality concentrates from reliable sources, including big brands like Canavape, Harmony and ECS. 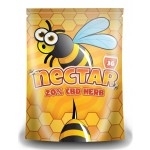 Our CBDeaze range comes in different mg options from 100mg, but it’s the 200mg concentrate oil that has got you inspired - be sure to check out the reviews. Available in delicious flavours including Heisenberg, Mixed Berry, Lemon and Lime, Strawberry Custard and Natural. Natural is perfect for mixing with other juices and sweet strawberry will awaken your senses and bring a great taste direct to your tongue. Made with CBD Crystal (2%), pick your favourite flavours and enjoy! Canavape’s large bottles are some of the best in the world and come in a range of mouth watering flavours that taste simply epic. Each 20ml bottle has 400mg CBD and 40mg of CBG (think of CBG as CBD’s expensive big brother). These pure extracts are expertly crafted in a lab and all quality controlled. So, what takes your fancy? Sweet grape, menthol, or perhaps blueberry? Whichever flavour, these are all about the CBD and we’re sure you’ll be impressed. Innovative and packed to the brim with a whopping 600mg of quality crystal CBD, the Harmony range of e-liquids include extracts from original kush strains for an authentic flavour. Pick from O.G Kush, Mango Kush and Super Lemon Haze to refill your e-cig and refresh your whole vape experience. Each bottle contains a brilliant mix of 20% PG and 80% VG. Who benefits from CBD oil? Whilst it is debated, CBD is reported to have anti-inflammatory effects and health benefits for skin conditions, even pain relief. It therefore gets used by arthritis sufferers for example, and by people who are health conscious and looking for a source of nutrients. At ICE Headshop, we make no claims on the health effects of CBD and recommend you do your own research online and come to your own conclusions. We’re not doctors and would never claim to be. If you’d like more information on any of these products or need help understanding accessories for CBD oil, get in touch with our expert team and we’ll be happy to help. Don’t forget, our customers get 10% ICE Points on all orders! Dan is your new best friend when it comes to everything headshop. The owner of ICE Headshop, he knows everything about our products and shares his knowledge right here on the blog. With over a decade in the industry, see what he has to say.